If you want to hammer your legs while sparing your low back, try single leg squats. Last time I gave you 10 fantastic benefits of this exercise, but I left you hanging. I didn’t explain how to get to the more advanced progressions. Well, today, it’s time to look at those progressions. Here is a step-by step guide to rocking a single leg squat. If haven’t mastered the basic 2-leg squat pattern, this is where you want to start. One of the best tools I’ve ever used for teaching the squat is Coach Dan John’s Goblet Squat. If you don’t know how to Goblet Squat, check out this video and work on the mechanics of the Goblet Squat. This keeping a full squat movement in your training is great - especially as you are using some of the beginner single leg squat progressions. Before we get to the single leg squat progressions, I just want to make sure we are all on the same page. The lower you go in the squat, the harder it is. This is why squat numbers mean nothing without seeing the depth. A 400lb squat below (real) parallel is a completely different ball game than a 400lb quarter squat. When it comes to single leg squats, you can’t just add or remove weight from the bar to get to your optimal training load. You have the challenge of progressing or regressing the exercise while working with a fixed weight – you. To work around this, we can the varying mechanics of squat depth to our advantage. The late great Strongman Paul Anderson was the first may to unofficially squat 1000lbs. One of his methods was progressive range of motion. Now this was back before the invention of the power rack. Big Paul would dig a pit in the farmyard, roll a barbell over it, stand inside the pit and do a partial squat. Then we would gradually add dirt to the pit – which meant his range of motion gradually increased. After a while, he was parallel squatting the weight. Below is a very short clip of this style of squats. For information of this amazing man, click HERE and for more training footage click HERE. Note: once you can squat to the height of your bench, you can further progress the range of motion by putting a plate or plates under your squatting foot. I showed this in an older video HERE. Here is another variation of this where you stand on a box and squat to another box. I learned this variation Coach Mike Boyle. It is a little tricky to set-up, but it works well if you have the boxes. You can still use range of motion progression by decreasing the height of the box you squat to until you get to around parallel. Pistols go really deep and force your knees forward. As you hit the bottom position, you can smash your hamstring into your calf and can create a prying effect on your knee. When you hit a deep squat on one leg, your knees can’t move out to create room for your hips so they jam up against your thighs. 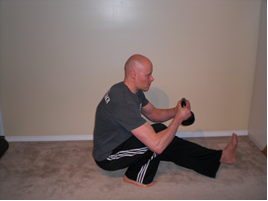 This, combined with the other leg held straight out force your lower back into flexion. Of course, this is not as bad as tail tucking with a heavy barbell on your back, but it can still cause problems and enforce a movement (squatting with spinal flexion) that you don’t want when exercising. However, if you still want to work to a full pistol squat, you can use the single leg squat progression 4 and gradually decrease the height of the box/object you are standing on. This forces you to get used to holding your other leg higher and higher. 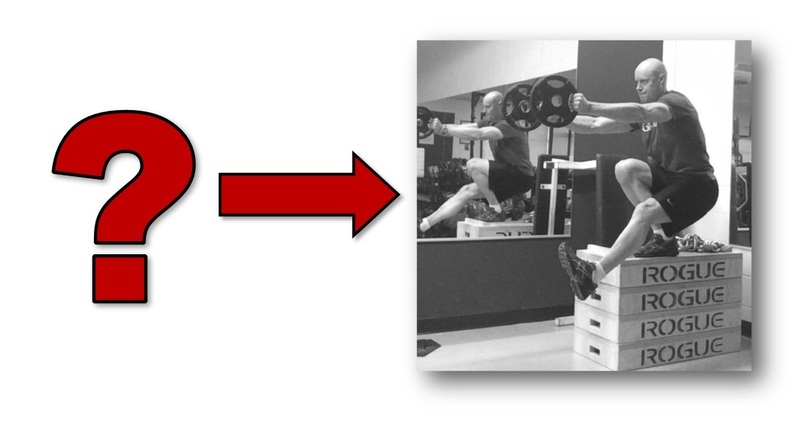 Related: Double vs Single Leg Squat – The Verdict Is In! Happy single leg squatting! If you choose to try these progressions, let me know how they go. As always, I welcome your comments and questions below. Squat is the necessary workout for your lower body like thigh and hips. This is the great site to get fitness tips.